The rugged winter boot version of the Air Force 1 gets the premium 30th Anniversary treatment. The rugged winter boot version of the Air Force 1 gets the premium 30th Anniversary treatment with this 'Gym Red/White' make up. Outfitted with an insulated lining and a rugged exterior with watershield technology, this winterized version of the original Air Force 1 is built to keep your feet warm and dry during the winter months. 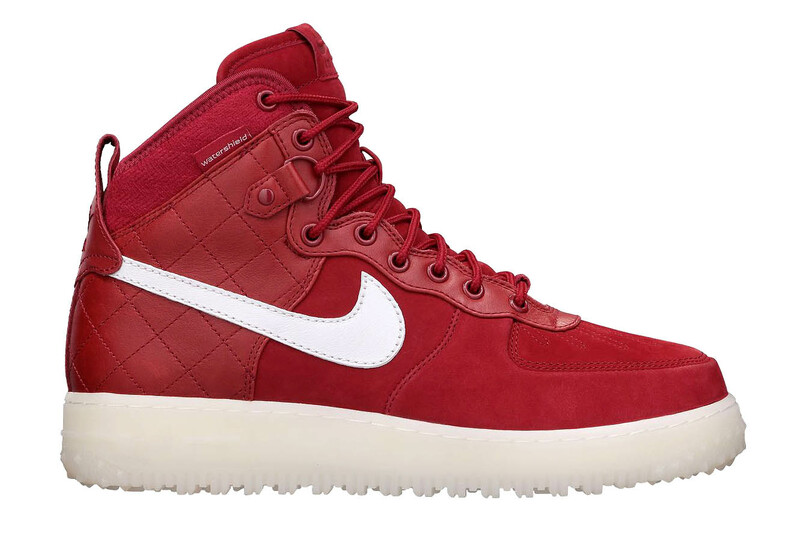 This colorway features a Gym Red upper with contrasting white Swoosh and white-tinted translucent lugged outsole. The Gym Red Air Force 1 Duckboot is available now at select Nike Sportswear retailers, as well as online directly from Nike Store.